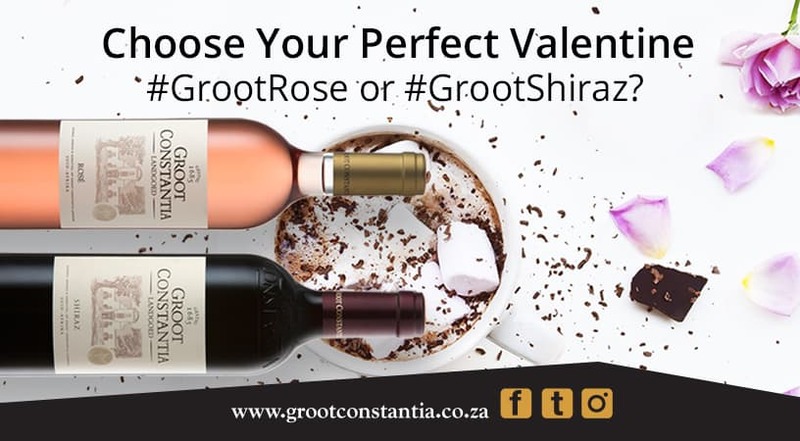 A box of chocs or a bottle of wine might be a Valentine’s day cliché, but pair hand crafted, custom made chocolate with award winning wine from Groot Constantia and you have an exceptional, unique experience. 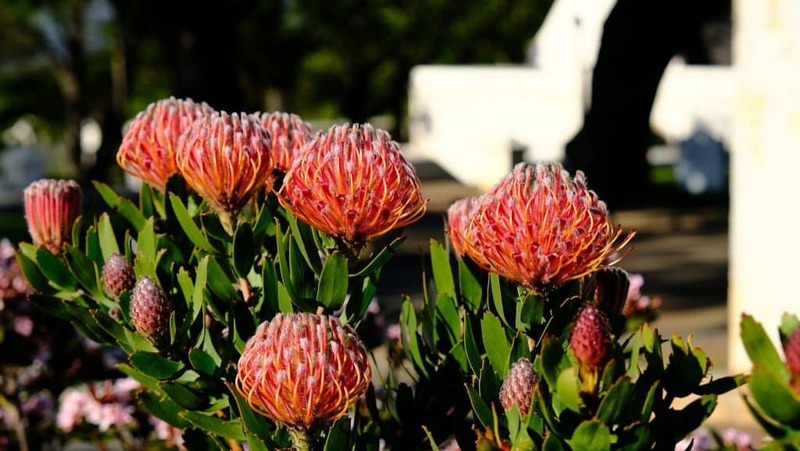 Sometime in Feb make sure you take your loved one on a date to this romantic estate. Enjoy the pairing and sneakily buy a bottle or two with the matching chocolate to wrap up and present to your beloved on February 14th. You can thank us later. 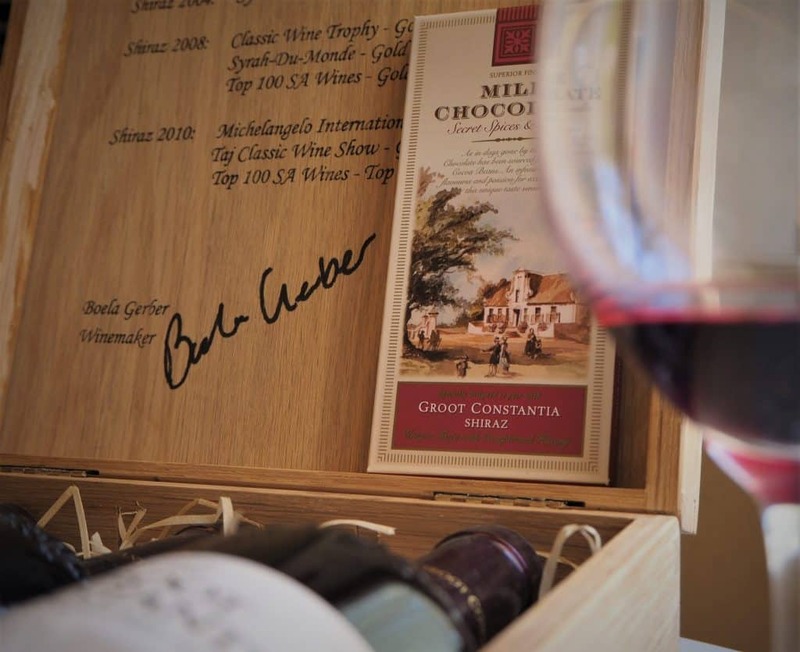 Firstly the chocolatier visits and spends time with Boela Gerber, Groot Constantia’s wine maker, sampling the different varietals and then creates the perfect chocolate to bring out the flavours of each wine. 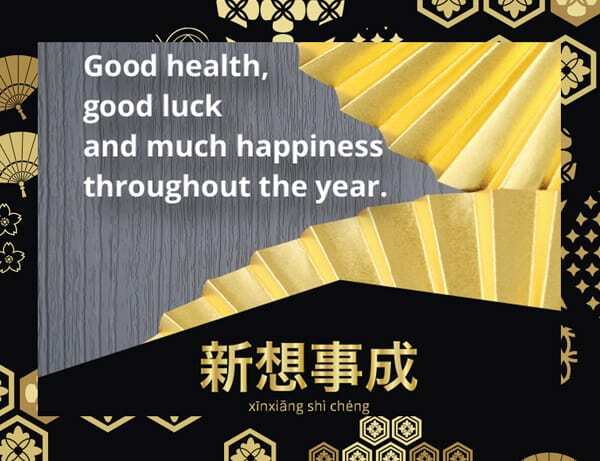 They source the very best beans and ingredients for their chocolates which are totally natural and contain no artificial colourants, flavourings or preservatives. 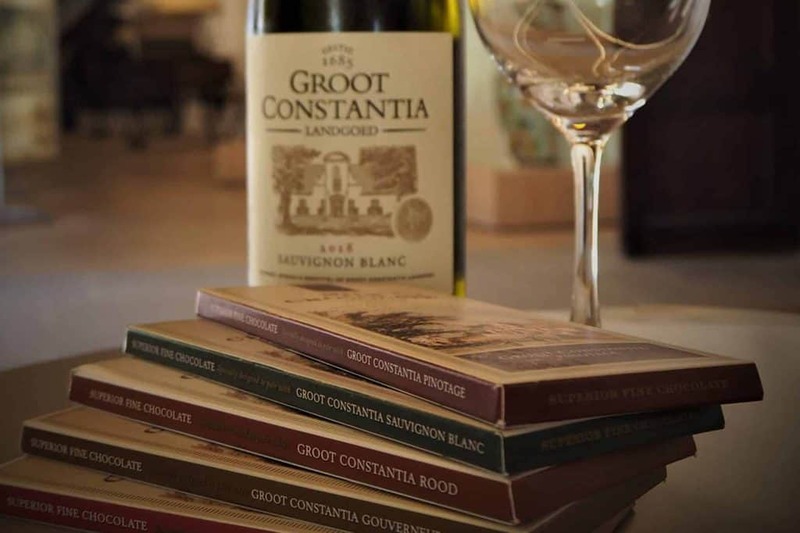 The Groot Constantia Chocolates are beautifully wrapped and there are six flavours available namely: Sauvignon Blanc, Pinotage, Shiraz, Rood, Cabernet Sauvignon and Gouverneurs Reserve. 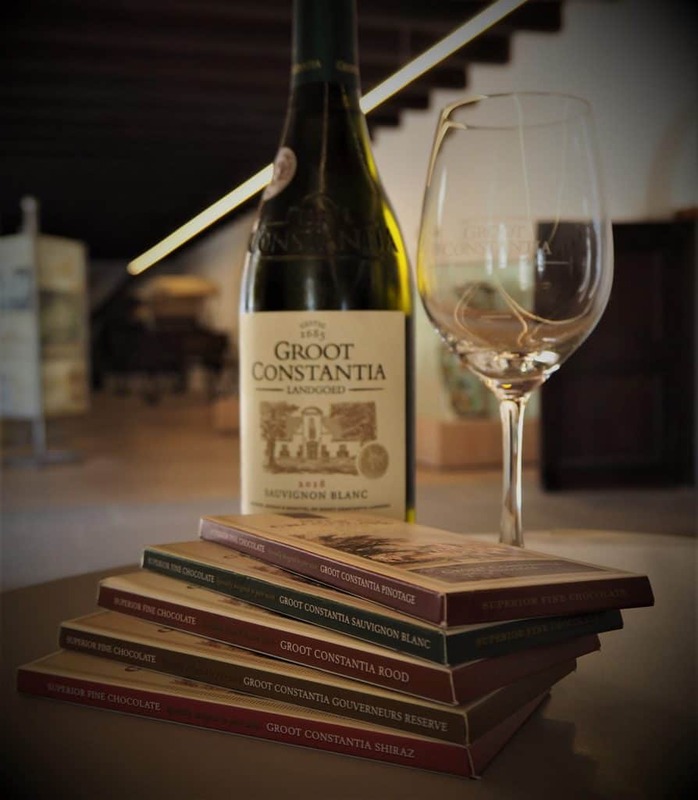 These chocolates are only available for purchase at Groot Constantia. 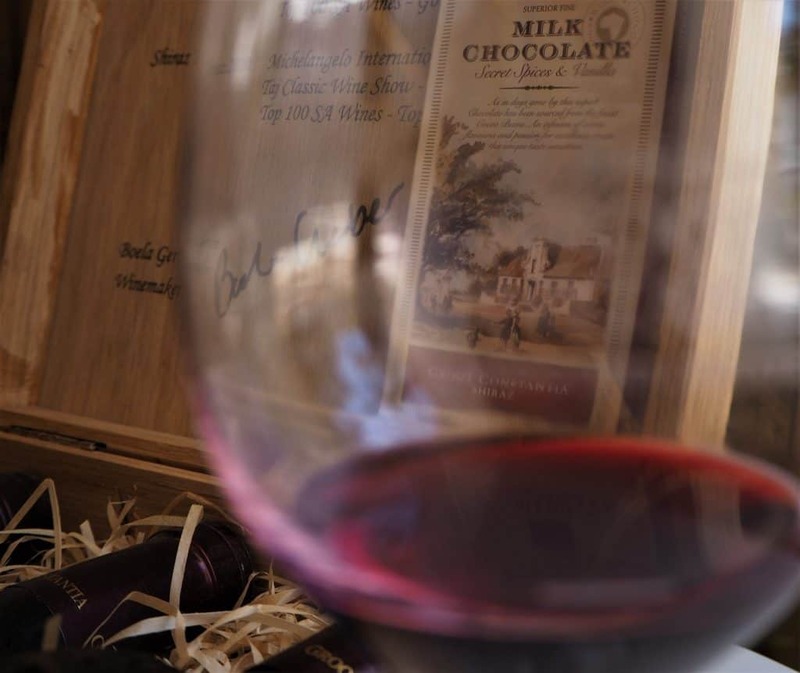 There are two methods for tasting wine and chocolate. The first is to allow the chocolate and the wine to blend in your mouth, releasing the combination of flavours. 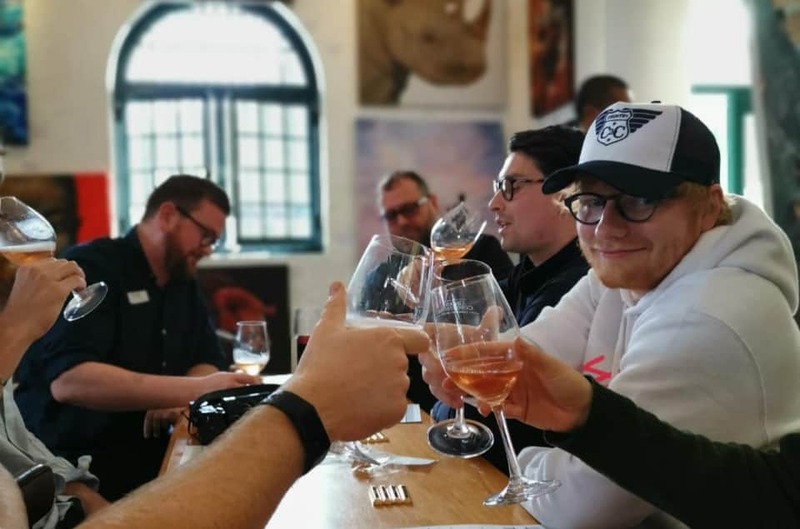 The second method which I preferred is to take a sip of wine, then allow the chocolate to melt in your mouth and when finished, take another sip of wine. This brought out the full compliment of subtle flavours in the wine and the chocolate. 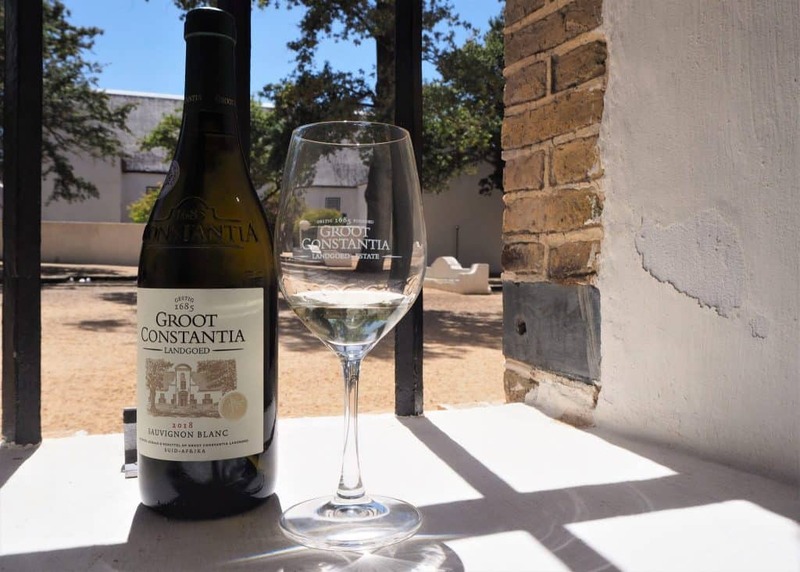 Groot Constantia Sauvignon Bland with tropical guava white chocolate. 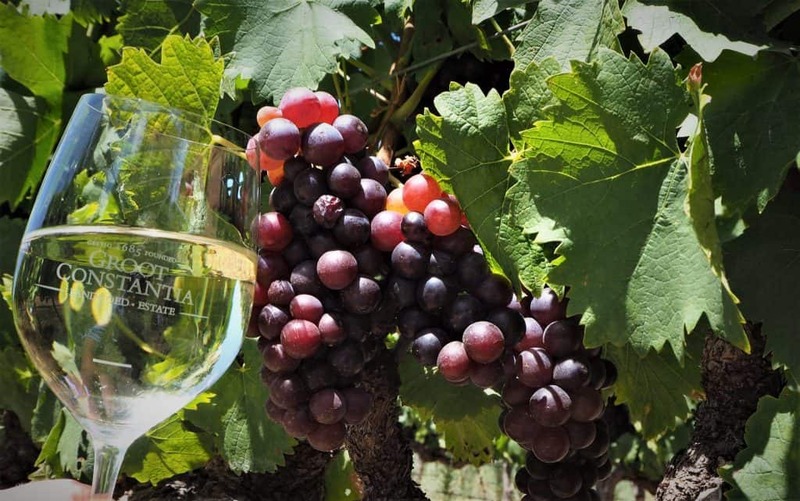 Sauvignon Blanc is ideally suited to Constantia, Hermanus and Elgin as it thrives on the cool ocean breezes. The chocolate is silky smooth and the overall combination tastes like summer. Crisp, light and fruity. 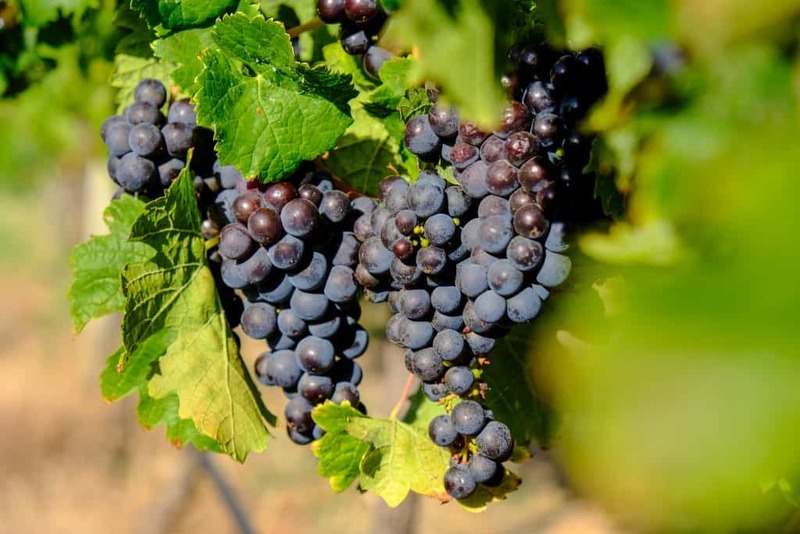 Pinotage is unique to South Africa and is the result of an experiment to create a Pinot Noir grape that could withstand the heat in South Africa. 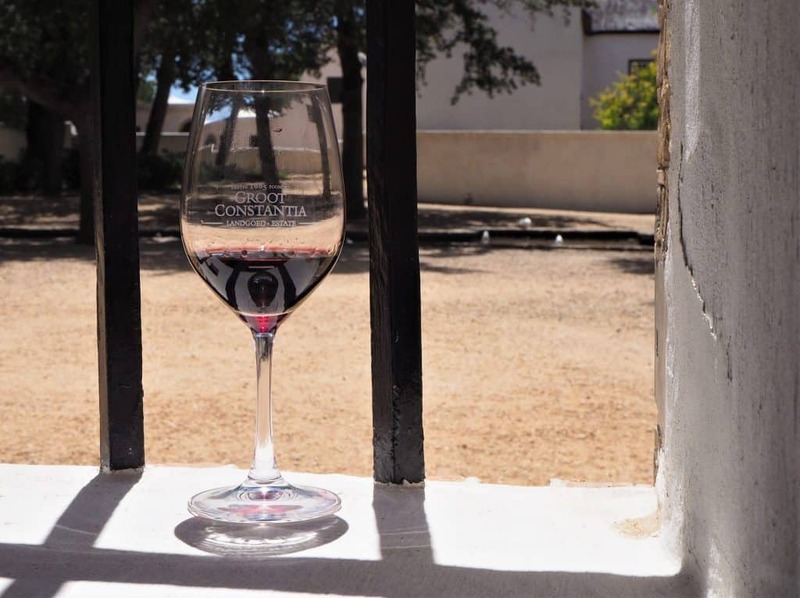 Pinotage is a cross pollination of Pinot Noir and Cinsault and it invokes feelings of the warm earth, sun ripened fruit and berries just bursting with flavour. The dark chocolate adds to the richness of these tastes. 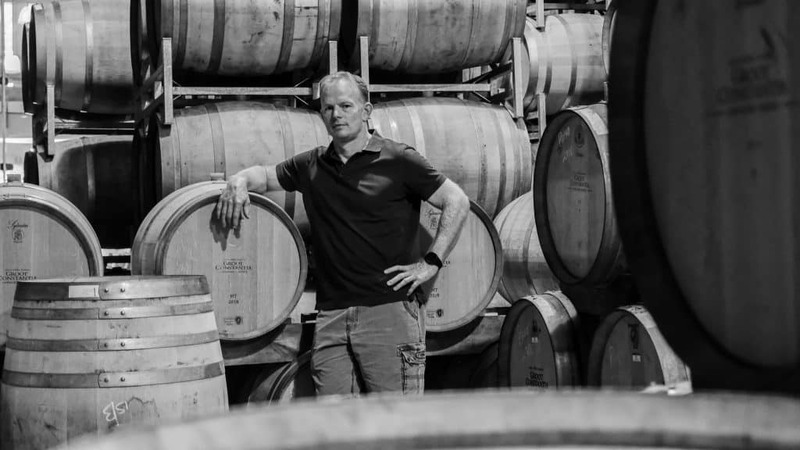 The Groot Constantia Shiraz is the only hand pressed grape on the estate, and this grape is a favourite of Boela Gerber the wine maker. Shiraz is an aromatic grape that possibly originated in Iran or Persia and it is spicy rather than fruity. 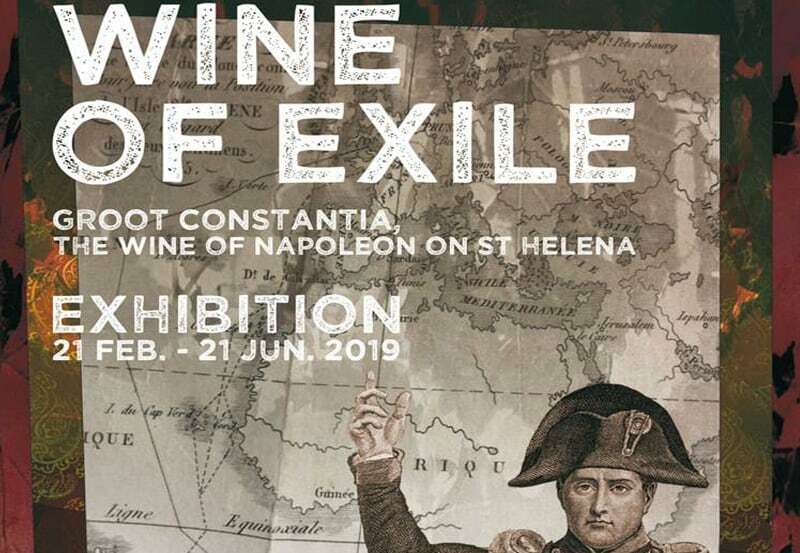 This wine pairs exceptionally well with mild curries or a peppercorn steak. This pairing offers a wonderful array of cinnamon, nutmeg, vanilla, cloves and peppery notes. 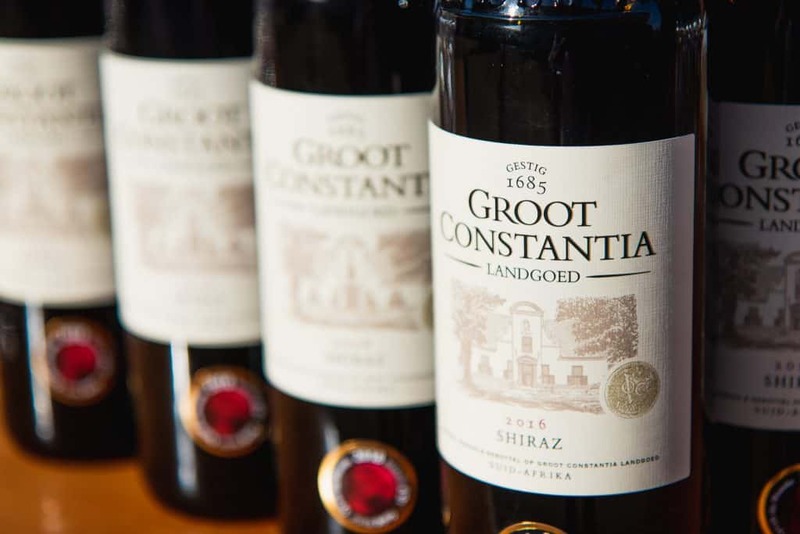 The 2016 Groot Constantia Rood is a blend of eight varietals including Merlot and Pinotage. The chocolate is surprisingly sweet for a dark chocolate, this is due to the high volume of cherries, while the coconut oil makes it as smooth as silk as it melts in your mouth. This easy drinking fruity blend is a great party wine and this pairing is outstanding. This is a Bordeaux blend and the 2016 is about 65% Cabernet Sauvignon with Cabernet Franco and Merlot added. 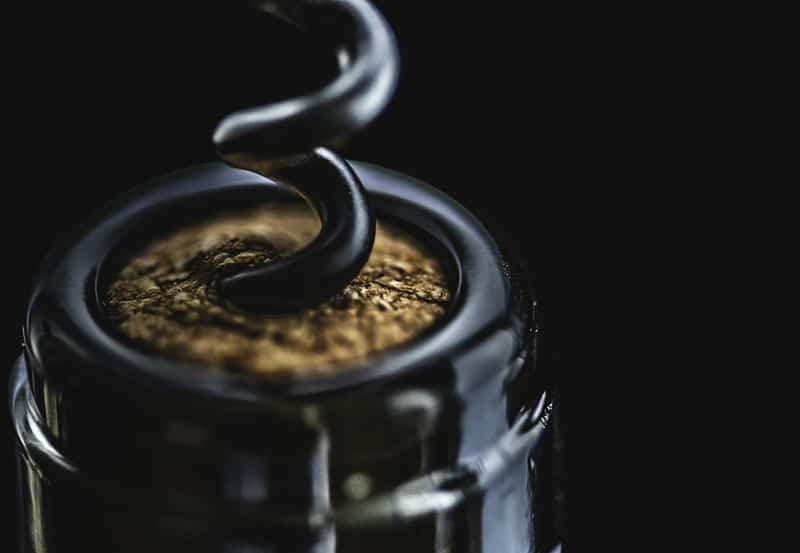 The wine is woody, fruity and intense as is the chocolate, creating a complex and rich taste extravaganza, a perfect way to finish. 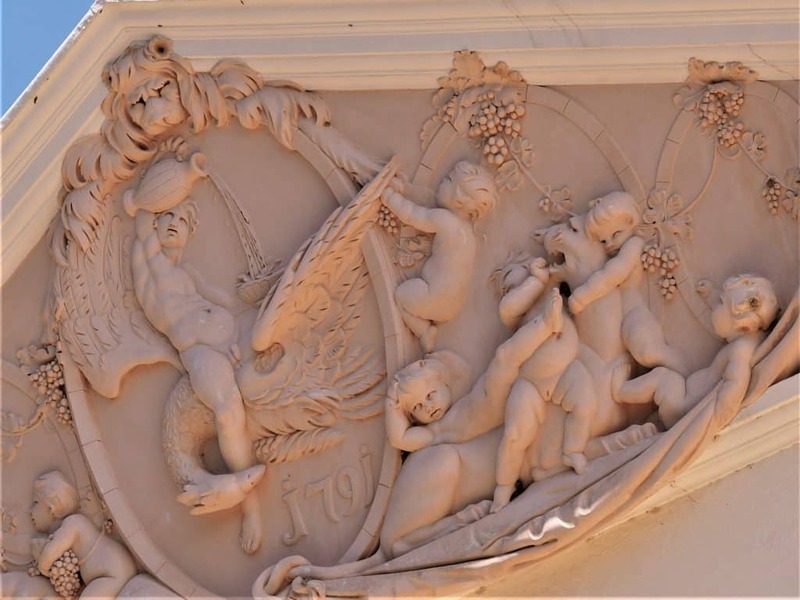 The pairing is offered in the fabulous Cloete Cellar – the birthplace of the famous Grand Constance wine. Buy a bottle of your favourite along with the matching chocolate to enjoy at home or as a wonderful gift for someone. Pssst Valentine’s Day is just around the corner. Written and photographed by Di Brown aka ” The Roaming Giraffe”. She enjoys exploring new places through the stories of the people, she loves being outside, in nature or on a beach. And she is having the time of her life experimenting, failing and spending thousands of hours on the same beach taking sunset shots of Table Mountain. 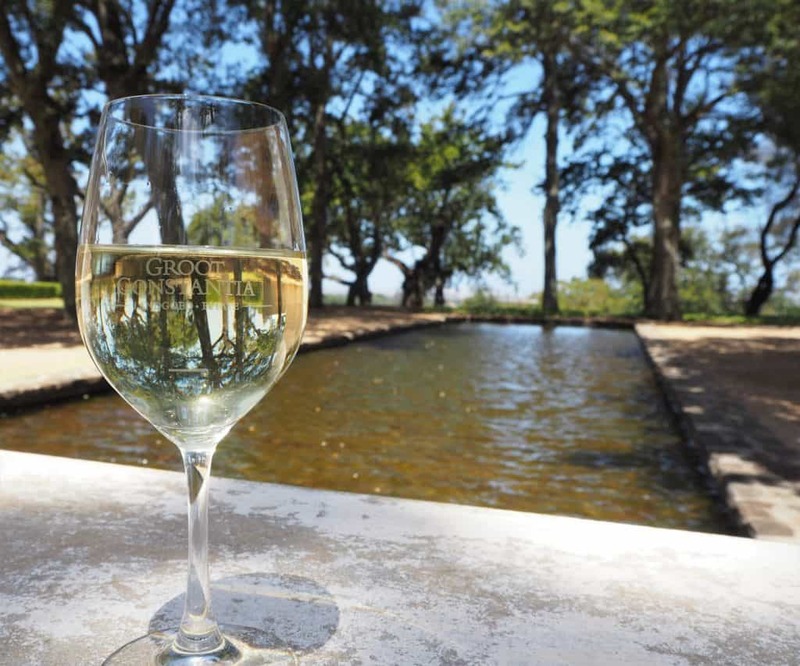 Or here at Groot Constantia.